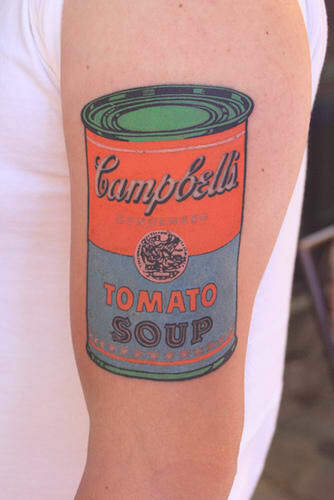 Warhol'sCampbell's Soup Can is perhaps the most ubiquitous contemporary icon there is. We've seen it in museums worldwide, the collections of a few, and on bags, shirts, shoes, and more. We're sure there's way more than one of these that would have made the king of pop art proud.